I know I just got done telling you not to buy a car on Black Friday, but if you absolutely must get a new car this weekend, do yourself a favor and buy a minivan because the deals are really good. Practically every jamoke in a region that gets even a hint of snow this coming winter looking to buy a family car is starting to panic about having four-wheel-drive. They are going to trek on out to the dealerships and get their cold weather conquering crossover and compromise almost everything they actually need the 90 percent of the time there is no snow on the ground. Don’t be one of these fools, get a minivan. Specifically a Honda Odyssey. Why the Honda? 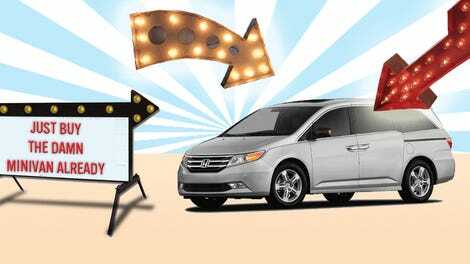 Because even though the Sienna is just as “good,” Honda gets a slight edge for offering more features across the lineup. But perhaps more importantly the discounts on Odysseys are bonkers right now. I just helped three customers in different metro areas, Houston, Washington DC and NYC buy an Odyssey for way less than they expected. Of course, prices in your region may be different, but Honda dealers are serious about clearing out the 2016 Odysseys. In Texas, I was able to get a 2016 Odyssey EX-L with Navigation (MSRP $39,100) for $34,425 + tax and fees. Shopping in the Baltimore/DC metro was even better, a regular EX-L (MSRP $37,100) for $30,327, that’s almost twenty percent off! 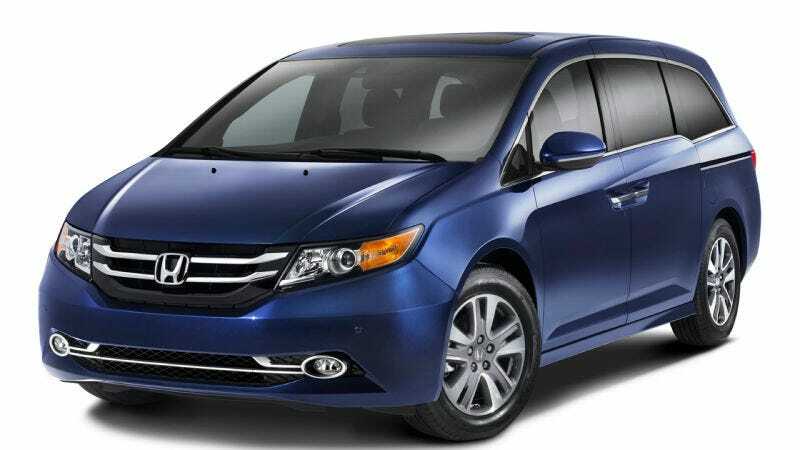 Honda is also offering 0.9 percent financing for up to 36 months and 1.9 percent financing for up to 60 months. Sure the new Pacifica is very nice and the rebates are good, but this is the van you lease and give back in three years. Even still, the Chrysler can’t touch the Honda in terms of leasing. Given Honda’s healthy discounts this month and far superior resale value, a more expensive Odyssey can end up being cheaper to lease than a Pacifica. My client in New York was looking at a $34,000 Pacifica-L or a $37,000 Odyssey EX-L. A 36 month, 12k mile lease with $2500 down (all taxes and fees included) was $350/mo for the Honda and $450/mo for the Chrysler. The Honda is $3000 more expensive, yet $3600 cheaper to lease. Get a van, using the savings for snow tires enjoy the goodness of sliding doors. You will thank me later.